Magical items on Krynn are often rare and usually supported by a particular story. According to the original Dragonlance adventure modules, many 5th level characters would have +1 magical weapons and armor, but this may have had a lot to do with conventions for AD&D modules at the time. (+1 magical items might have been the equivalent of masterwork in 3E) There are certainly some items that are more memorable in themselves, that loom large in the Age of Despair, like the Dragonlance itself, or the Staff of Magius. A dwarven battle axe and a longsword in the style of the humans of Abanasinia – each weapon is a +2 magical weapon, and when wielded within 30′ of each other they function as +3 magic weapons. They were originally created in tandem to represent friendship between the dwarves of Thorbardin and the humans of Abanasinia. The Bloodstone enables it’s wielder to attempt to replace the soul of a victim with their own soul, taking over their body permanently. When it is time to try to seize a body, the wielder of the Bloodstone must be within 30′ of their intended victim. The victim must make a Charisma saving throw against the spellcasting DC of the Bloodstone’s wielder. If they succeed on the roll, they are merely frightened, but are also immune to the Bloodstone’s power for a year and a day. The victim must be a humanoid with at least three levels as an arcane spellcaster. If the save fails, the wielder of the Bloodstone drives out the victim’s soul and replaces it with their own. They take over the victim’s body, taking on their Strength, Dexterity, and Constitution scores. The wielder of the Bloodstone carries their own Wisdom, Intelligence, and Charisma scores with them. There is a window of time during which the wielder’s soul might be driven out of the new body – it takes 30 full days to take root in the new body, at which point the old soul becomes a ghost cursed to wander the material plane until it dissipates. The Blue Crystal Staff is, among other things, a Plot Device. It lets you do things like teleport characters out of danger, or into it. It is described as dealing damage to any evil creature that tries to touch it, and also as possessing powerful healing capabilities. During the Age of Despair, the Blue Crystal Staff should provide the healing abilities of about a 5th level cleric: cure wounds, healing word, prayer of healing, and mass healing word, as well as perhaps remove curse and restoration. If any creature of evil alignment tries to touch the staff, they must make a DC 15 Dexterity save against 3d6 lightning damage, taking half damage with a successful save. If used as a weapon, the Blue Crystal Staff deals 1d6 bludgeoning damage plus 1d6 lightning damage against enemies with an evil alignment. There is more than one Dagger of Magius out in the world, as it is a name that any magical dagger carried by arcane spellcasters might have. The original Dagger of Magius, however, is a +3 magical dagger. Magical scale armor worn by dragon highlords and other powerful dragon-riders in Takhisis’s army during the War of the Lance. It gives a +2 AC bonus and counts as cold weather gear. The armor also gives resistance to an element based on its color: fire for red dragonscale, electricity for blue dragonscale, poison for green dragonscale, acid for black dragonscale, and cold for white dragonscale. Granted by undersea peoples as gifts, these flutes grant magical abilities to those who play them. A character can cast the following spells once per long rest: fog cloud, gust of wind, wind wall, and control weather. Similar to an Oathbow, the Footman’s Dragonlance is a +1 lance that deals 2d12 damage against all creatures of the dragon type and 1d12 damage otherwise, with a 10′ reach. This is a basic Dragonlance of the type that would be manufactured by Theoros Ironfeld for use against the Dark Queen’s dragons. It can be forged using the Hammer of Kharas, without the Silver Arm of Ergoth. The mounted, or greater Dragonlance is a +3 lance that deals 1d12 damage plus 3d6 damage against all creatures of the dragon type, with an additional 1d12 damage if it comes at the end of an aerial charge. It has a reach equal to the dragon’s bite attack, as each Dragonlance is built for a particular dragon. These Dragonlances can only be forged by a smith using a combination of the Hammer of Kharas and the Silver Arm of Ergoth. These magical glasses enable the wearer to understand any written text. Using the Glasses of the Arcanist, a character can cast comprehend languages once per short rest. A more powerful version of the Glasses of the Arcanist, the Glasses of True Seeing grant the following magical spells once per long rest: darkvision, comprehend languages, and true sight. Using the Hammer of Kharas, a character who is proficient with blacksmithing tools can forge a lesser, or footman’s Dragonlance. Used as a melee weapon, the Hammer counts as a +2 warhammer. When wielded by a dwarf, the hammer also grants the effect of a belt of stone giant strength. Holy symbols for members of the Holy Orders of the Stars are self-replicating. When a new cleric devotes themselves to the service of one of the gods, another cleric of that god is able to use their medallion of faith to create a new one to give to the new cleric. A medallion of faith can be used to create a medallion corresponding to similar gods, as per the DM’s discretion. (i.e. a medallion of faith in Mishakal probably cannot create a medallion of Zeboim). A huge black iron mace given to Dragon Highlord Verminaard by Takhisis herself, Nightbringer is a +2 heavy mace. Three times per long rest, upon striking an opponent, the wielder can say the word “midnight” and temporarily blind their foe. They are blinded until their next turn, at which point they can make a Constitution save against a DC of 17 to restore their sight, continuing to make saves each turn until their sight is restored. If they are still within 30′ of the wielder of Nighbringer, they make these saves at a disadvantage. A magical amulet given by the Master of the Tower of High Sorcery at Palanthas, enabling them to attempt to pass through the Shoikan Grove. When in the Grove, it sheds dim light for 10′, and no undead of the Grove can enter that circle of light. If the person using the Nightjewell makes a weapon or spell attack, the effect is immediately cancelled. Created before the founding of the Knights of Solamnia, these suits of magical plate armor were thought to only have been worn by Knights of the Rose until Huma wore one during the Third Dragon War. When worn by a Knight of Solamnia, the Plate of Solamnus functions as +3 full plate armor. When worn by a non-Knight, it functions as +1 full plate armor. When a creature of evil alignment attempts to don the plate, they must make a Constitution saving throw against a DC of 15, taking 3d10 radiant damage on a failed save and half damage with a successful save. A magical silver arm that must be used to replace a humanoid’s lost arm. When in place, it functions exactly as a normal arm, but also enables the wearer to attempt to forge a Dragonlance. While wearing the arm, a humanoid regenerates 1 hit point on each of its turns, or about 10 hit points per minute, and will regenerate lost limbs and organs as per the regenerate spell. A magical staff before Magius, who fought alongside Huma, came to possess it, the Staff of Magius passed in time to Raistlin, and later to Palin Majere. Once per short rest, the staff enables it’s wielder to cast light centered on the crystal at the top of the staff. Once per long rest, the wielder of the staff can also cast feather fall. If someone who is not its possessor touches the Staff, they must make a DC 18 Wisdom saving throw to resist being under the effects of a confusion spell. The staff counts as a +2 weapon when used in melee combat. The Staff is also a magical artifact and Plot Device which grows in power over time as its wielder grows in power . A +3 greatsword, once wielded by Steeltoe the ogre bandit, and then by Caramon Majere when he slew Steeltoe. Warbringer would become an heirloom of the Majere family. Forged during the Second Dragon War to defend the realm of Silvanesti. It is a +2 longsword with a falcon-shaped crossguard. The wielder is granted advantage on saving throws against breath weapons. Once per long rest, Wyrmsbane enables its wielder to cast locate object. Sister to Wyrmsbane, with an eagle-shaped crossguard. It vibrates in the hand when within 30′ of a chromatic dragon, and dragons are sensitive to the sound of humming that comes from it. It is a +2 longsword that deals an extra 3d6 damage to creatures of the dragon type, and it grants advantage on saving throws against draconian death effects. I helped to make a thing (by doing some editing). This is the Bodhana Group’s first publication, which is very cool. We hope to do more, and have two more things in the pipeline actually. 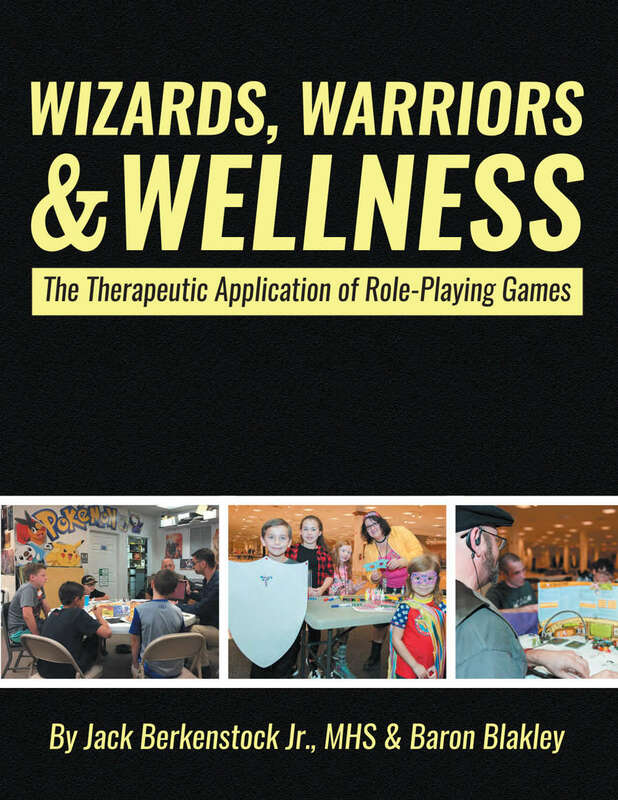 So pick up a copy to learn about therapeutic gaming, and pay for the copy as a way to support TBG! This is similar to the system for rest used in Adventures in Middle-Earth. Long rest is only available when in civilization, or at least resting someplace safe and comfortable. Ever gotten great sleep on the ground out in the weather? Yeah, me neither. I also like the system whereby during a long rest, rather than recovering all of your hit points automatically, you are able to roll all of your remaining hit dice to recover hit points. This will recover a lot of hit points, but not necessarily all. Of course, PCs have to put in the work finding rare or expensive (or magical) items before they can make the roll to see if they can afford them. The DM has an option of saying that a character who fails the roll still buys the item, but is strapped for cash. Most of the time, when returning from an adventure, the characters will be flush with cash, and that’ll be the time they want to buy things anyway. So a mid-level character (level 9+) returning from an adventure will have just shy of a 50/50 chance of affording a legendary magic item, and better than 50/50 of affording a very rare magic item. The limitation there will be based on the setting, with this being plausible in Eberron and less likely in another setting, based on availability of magic items overall. I think that the payoff of using historical firearms, rather than a weapon like a longbow, is that it as a slower rate of fire and does a lot more damage. At least, that’s what I’d like to house-rule firearms to do. So as a house rule, I have black powder pistols require two rounds to reload, and black powder rifles require three, and their damage dice are doubled. 10th level spells exist, and as one would expect they are available through scrolls (which are of course artifacts) and for 19th level spellcasters. Such spells can be world-changing, but can only be cast once each by a given spellcaster. When a player selects a background, they should also flesh out the background with all of the NPCs who might be connected, including their immediate family, rivals, mentors and the like. As a rule of thumb, at least a couple of interesting NPCs who might get caught up in the story per background. I like using alignment, but alignment as written in D&D includes a lot of nonsense and argument-fodder. So what I do is I replace “Good” with another descriptor that defines what “good” will mean in this setting. For example, in my Twilight of the Gods setting, good becomes “Generous.” I replace “Lawful” with an order-oriented, pro-social term from the setting that is morally neutral if possible. In Twilight of the Gods, that becomes “Civilized.” I replace “Chaotic” with a pro-freedom, or maybe individualistic, term; in Twilight of the Gods, that term is “Wild.” And then for “Evil” I do the same as I did for “Good” – choose a more specific or helpful term. In Twilight of the Gods, that term is “Treacherous.” So instead of Chaotic Evil, a character would be Wild and Treacherous. Instead of Lawful Good, a character would be Generous and Civilized. See? Better. Also, a result of this is that “evil” characters are much more viable. One can play a “Selfish” character in Twilight of the Gods more easily than an “Evil” character in a standard D&D setting. In a game that is using currency, this is just an option to buy adventuring gear at a 50% discount. The associated cost is that with any failed roll, and almost certainly on a roll of “1”, the gear breaks, and can probably only be repaired with the appropriate tool proficiency. With the above system of going cash-less, maybe a failed roll allows a PC to buy a discount version of what they wanted. So they get what they were after…kind of. For any effect that paralyzes, such as hold person or a ghast’s claws, a paralyzed character is shaken free of paralysis the first time an automatic critical hit is scored against them. As another option for PCs who are paralyzed, they can choose to take 10 psychic damage for each level of the spell used to paralyze them (or an amount the DM thinks is appropriate for monster abilites that aren’t spells) in order to take an action to break free. So they still lose at least one action, and take the damage, but aren’t standing there doing nothing for round after round. Probably need a house rule that for species that are resistant to psychic damage, like kalashtar, they need to take the full damage to break free. Their resistance doesn’t help them in this one instance. The heading is a link to the full table that I posted a while back, but for theater of the mind I like a system where you roll randomly to see how many creatures are caught in an area of effect spell. Just assume that the character is doing all they can to maximize the spell’s effectiveness and avoid hitting their friends. I would have to adjust this system for an evocation specialist wizard who could sculpt their spells to hit their foes and avoid their friends, but that’s easy enough to hand-wave (add a bonus to the AoE roll or something). I have toyed with an idea, which I haven’t used in a (finished) game design yet, that is an attempt to deal with a diminishing return in gaining skill combined with the incredibly long lives of elves. Even D&D’s non-immortal elves live for 700-1000 years. The idea I came up with is to have what amounts to only 3 levels of ability in any given skill (as measured by elves): 1 year, 10 years, and 100 years. (This also echoes the Chinese aphorisms about how it takes 10 weeks to learn the spear, 10 months to learn the dao, and 10 years to learn the jiann). After 100 years, diminishing returns seem like they would be such that measurable improvement would be unlikely. In a setting with elves and non-elves, non-elves would be limited to a skill level of 10 years (about how long it takes to earn a black belt in Brazilian Jiu-Jitsu if you are working hard at it). I like the idea of having the option of burning out a repeatable ability in one big demonstration. That is, say you can do Ability X three times a day, or once per short rest. If you choose, you can choose some dramatic moment to do something that is equivalent to 5X or even 10X. After that, though, you lose the ability permanently. This could be a lead into a ‘Retire in Safety’ mechanic or another peaceful end for the character, and of course only makes sense for characters who have repeatable, likely supernatural, abilities. I wonder what effect it would have to write a secret, or multiple secrets, about the character on the character sheet. (There is a mechanic for this in Parsec) Probably in some groups it would no effect, but in a Vampire the Masquerade group for example, each vampire having to have their secrets written out on their character sheets (preferably on page 1) just might have an interesting, subtle impact at the table. A little layer of suspicion added to any interaction. Here I’m going to take the example of backgrounds in D&D 5E, which are a great addition to the system in my opinion, and could be taken further. Almost every adventurer character ever created is an orphan with no social ties at all when the game begins – that just seems to be a truism at this point. Some systems make a player create a more detailed, interconnected background at character creation for that reason – otherwise very few will. World of Darkness games even added this element to the game itself in the prelude session, during which we see the character in scenes from their life before the supernatural stuff hits the fan.